2 Trumpets or 1 Trumpet and 1 Bass Trombone. Composed by L. Canivez. Original Compositions. 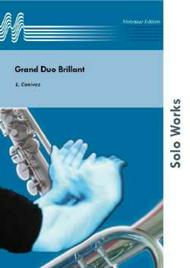 Solo Works Series. Score and parts. Published by Molenaar Edition (ML.060208610).